Dr. Kevin Peck passed away in April of 2018. His wife, Dr. Hillary Peck, continues to practice dentistry at the Phoenix office of Peck Family Dentistry. Dr. Peck graduated with a Bachelor of Science Degree in Electronic Engineering Technology from Pennsylvania State University. He spent seven years in the engineering field prior to pursuing his dental education. He received his Doctor of Dental Surgery degree from Creighton University in 1990. Dr. Peck enhanced his dental training by studying under Dr. Frank Spear, at the Seattle Institute for Dental Education, as well as the Scottsdale Center for Dentistry, where he became a member of the mentorship program. 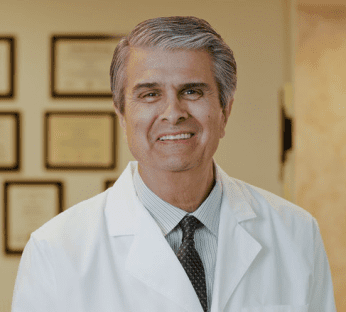 He continued to hone his dental skills through continuing education and memberships in study clubs for dentistry and was certified in mini-implant placement and Lumineer cosmetic treatment. He opened Peck Family Dentistry, with his wife Dr. Hillary Peck, in 1994. He was a member of the American Dental Association, the Arizona Dental Association, the Central Arizona Dental Association, and the Synergy Study Club. Dr. Peck was an avid fly fisherman and loved anything that had to do with the outdoors. His family came first in his life and he enjoyed every precious moment with them. Service was an important part of his life and he donated a great deal of his time to various dental clinics including St. Vincent De Paul, Central Arizona Services Shelter, and the Arizona Mission of Mercy. He also made several dental mission trips to Agua Prieta, Mexico.